In the last year, Arizona’s immigrant and Latino community organized to defend themselves and to uphold cherished national values. They have marched, they have held sit-in’s, they have been arrested, and their efforts have captivated the attention of the nation. Critical to the effort in Arizona has been the voice of the artistic community. Our colleague, Ernesto Yerena inspired literally hundreds of artists- musicians, graphic designers, street artists, and others to donate artwork to the cause. The body of work is an expression of liberation and was designed to lift the voices of a community that was supposed to be silenced by SB1070. 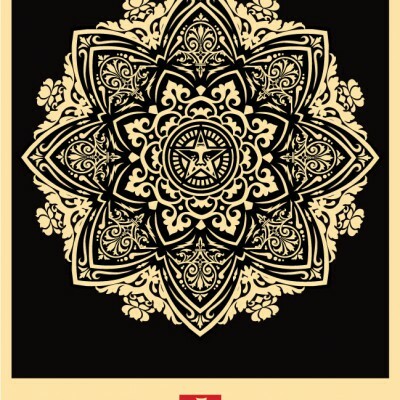 Shepard has teamed up with Ernesto once again with the releasing of the Alto Arizona print. The print uses a remixed image from the original collaboration for Immigration Reform campaign of last year. A collection of other art is also available at, AltoArizona.com. 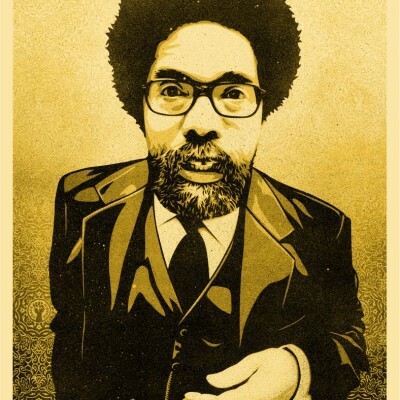 The next print release on ObeyGiant.com will be a portrait of civil rights activist Dr. Cornel West. Check out this video of him speaking about Art and Culture in a Social Movement with the Alto Arizona print. Although most sections of SB 1070 were temporarily blocked while the federal court challenge continues, other sections- particularly those targeting day laborers- were allowed to go into effect. Meanwhile, Arizona continues to be a laboratory for right wing extremism, and communities of color remain the targets. Racist demagogues have exploited economic uncertainty to scapegoat of immigrants and violate the rights of Latinos. Immigrants continue to live in fear and in anger. But between those two sentiments, there’s courage: courage to resist peacefully, courage to overcome, courage to say, “no!” to hatred fear, and even courage to love the haters. The people of Arizona continue to need our support. We need others to add their voices to a growing call for justice, and we need additional resources to help organize the community. 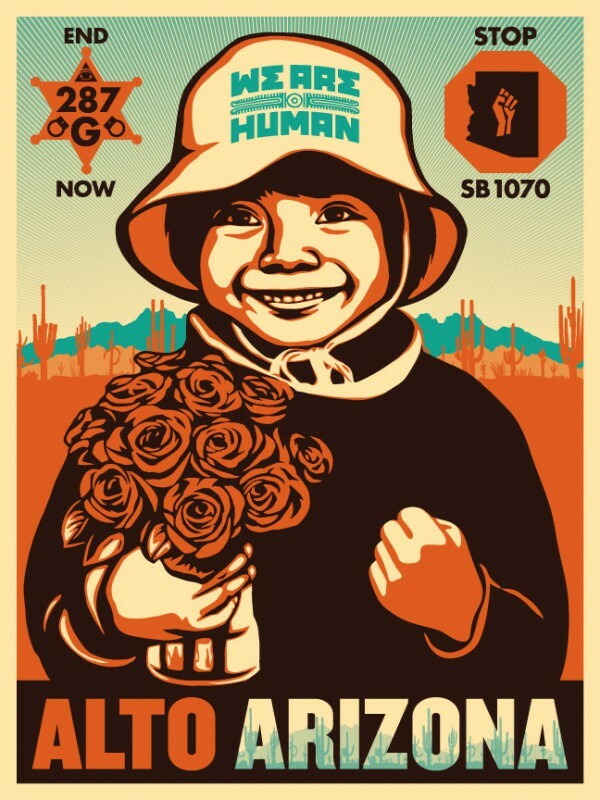 Until SB 1070 is defeated in its entirety, our partners in Arizona will continue to call on all people from all walks of life to stand on the side of migrant families, on the side of justice. One way to help is to contribute your artwork to the AltoArizona site. Another way to help is by acquiring the Alto Arizona poster.